Shopping for a new or used Chrysler, Dodge, Jeep, Ram near Reading? Trading in your old vehicle is a great way to make this significant purchase a little more affordable. Use our convenient car trade-in estimator below to get a reliable estimate of how much you’ll be able to put toward your next Chrysler, Dodge, Jeep, Ram vehicle. Simply enter your year, make, model, VIN, and a few other required fields. 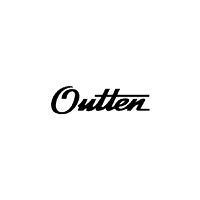 Soon after, a representative from Outten CDJR will reach out to you with the next steps. Of course, if you have any questions about trading in your car in the meantime, feel free to contact us! Our Chrysler, Dodge, Jeep, Ram specialists look forward to getting you behind the wheel of a new Wrangler or RAM 1500, so you can change the game for your Pottsville and Schuylkill Haven commutes. Not totally convinced the RAM 1500 is for you? Compare it to the Chevy Silverado, a top competitor, to see how well the RAM 1500 fares in a tough competition. By submitting this form you agree to be contacted by a Outten CDJR staff member.